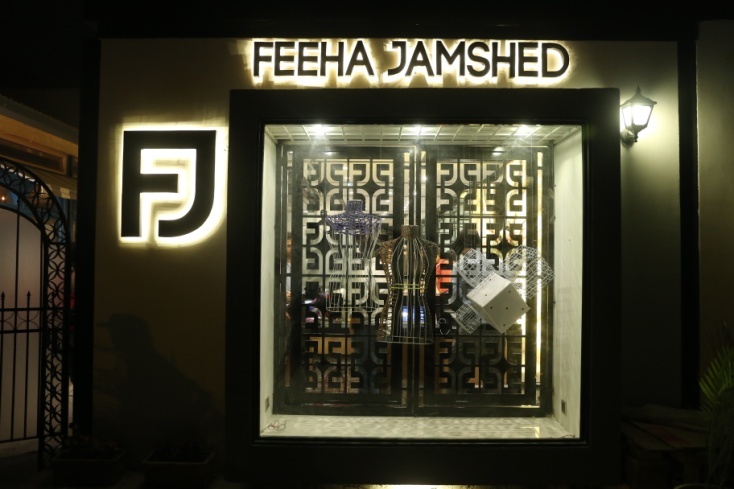 Expanding the star-persona and brand image, Feeha Jamshed has now opened her stand-alone flagship store at E-street, Clifton, Karachi. Her store was stocking not just an Eid collection titled J’Dore Khanum Jaanbut also clothes that’ll be are synonymous with everything that the customers are expected to see in store. Karachi based brand Silver Linings showcased their latest collection of trendy casuals, stylish semi formals and lighter to heavy worked formal attires. This collection is a blend of the latest cuts, colors and craftsmanship. The light material of chiffon and net is there to give a touch of elegance and sophistication. This collection has a vast variety of almost all sorts of clothes for all sorts of people. From day to day wear to party wear and wedding wear we are bringing you pretty much everything in a very affordable range and extremely exciting color combinations. Popular US based Pakistani designer Heritage by Ashraf Valliani presents their new collection of luxury prêt wear and now you can order their designs from anywhere in the world with their online Estore. Catering to the South Asian community in North America, the collection features traditional techniques and fabrics in jamavar and bandhni designed in a contemporary framework with silk jackets, chiffon silk capes, and jumpsuits in addition to hi-lo hemline silhouettes and classic kurtas. 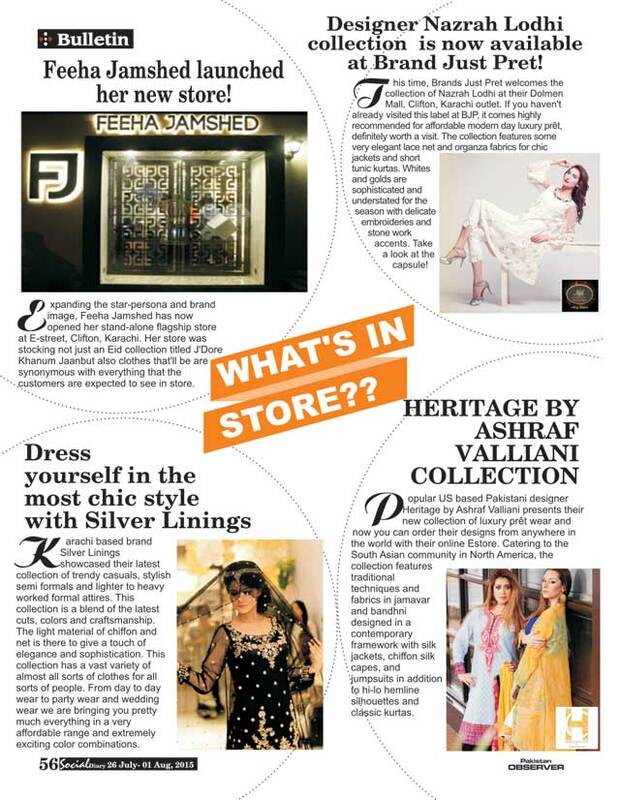 Designer Nazrah Lodhi collection is now available at Brand Just Pret! This time, Brands Just Pret welcomes the collection of Nazrah Lodhi at their Dolmen Mall, Clifton, Karachi outlet. If you haven’t already visited this label at BJP, it comes highly recommended for affordable modern day luxury prêt, definitely worth a visit. The collection features some very elegant lace net and organza fabrics for chic jackets and short tunic kurtas. Whites and golds are sophisticated and understated for the season with delicate embroideries and stone work accents. Take a look at the capsule!